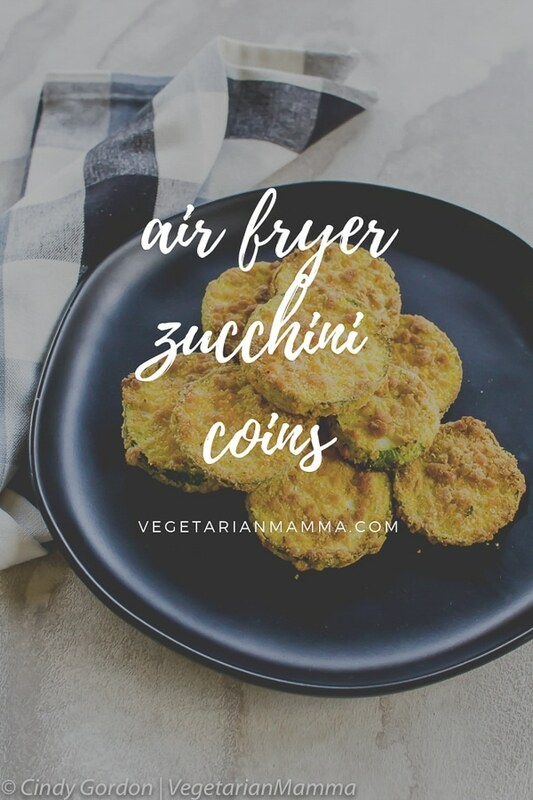 Air Fryer Zucchini Coins is a delicious and easy air fryer recipe. This vegetarian snack will make your belly rumble for more! 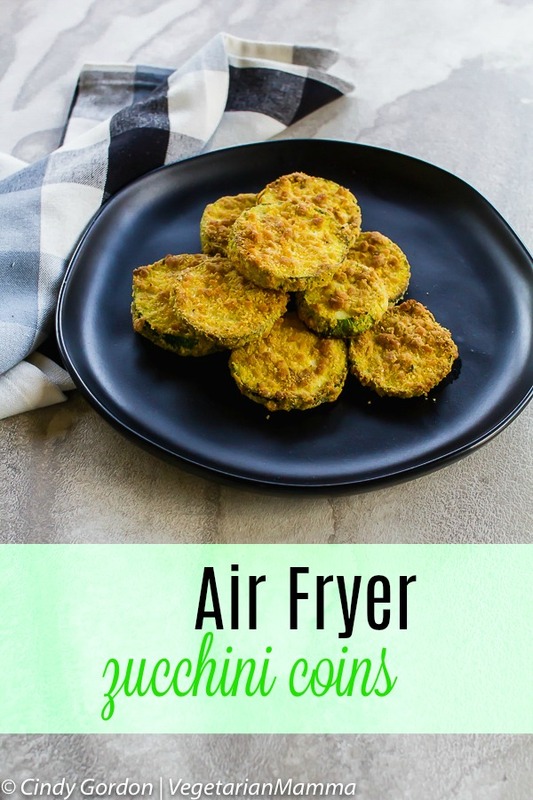 Are you looking for air fryer zucchini recipes? Well we have one for you today! Air fryers have been one of those appliances that have been on my wish list for a while. I’d heard amazing things about them, reading about how they can take away the grease use and cut the fat calories from food, all with ease. Eating healthy with ease? Yes, please! Needless to say, I was pretty excited when my mom got our family an air fryer for Christmas a couple of years back. It was something I had been wanting to experiment with ever since I’d first heard about it. We have been having SO much fun with airfryer recipes! 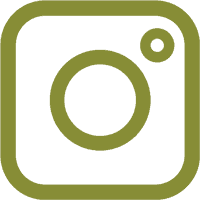 For us, we love to use our Power AirFryer XL (affiliate ad link). 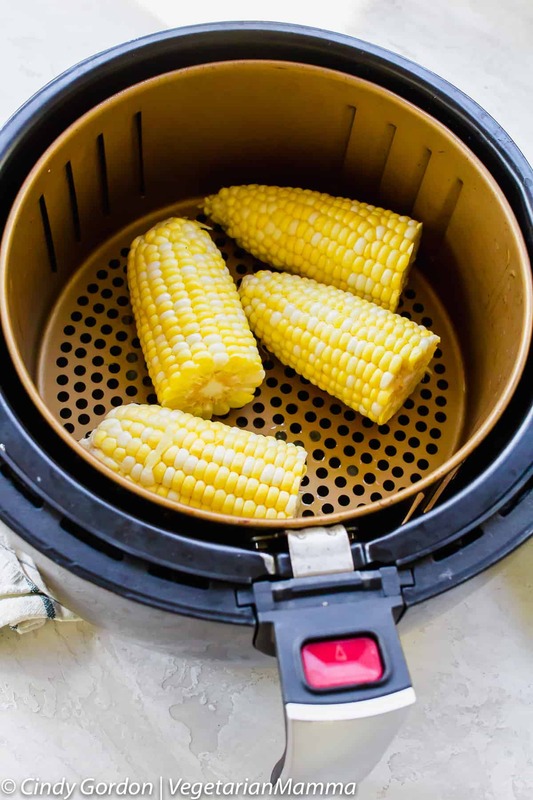 Have you found any great power air fryer recipes out there? Drop me a comment below! 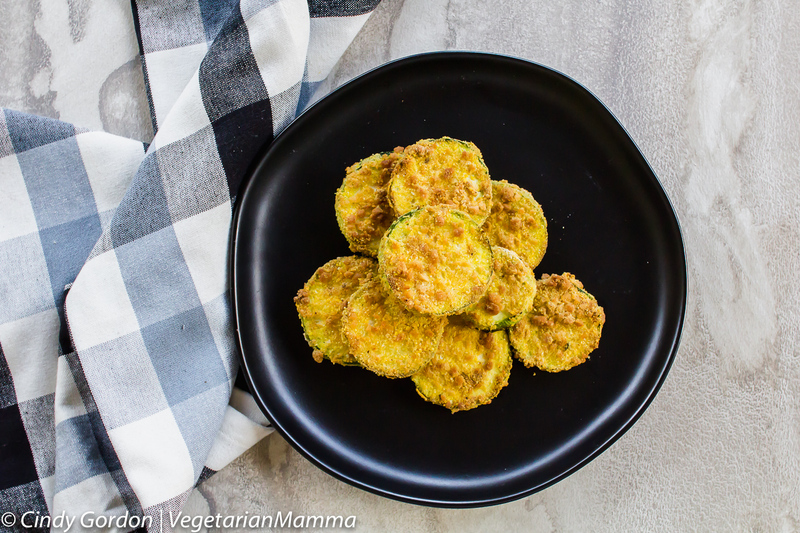 Today we are using zucchini in our air fryer! 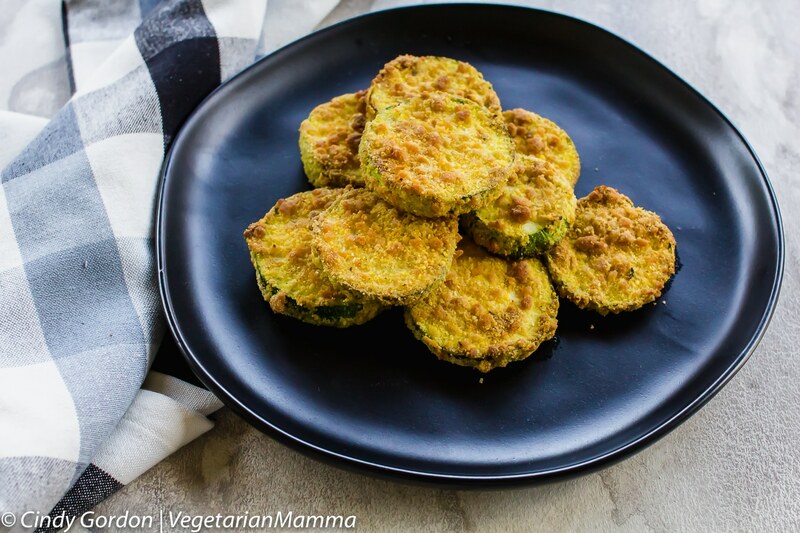 Who doesn’t love a good fried zucchini recipe? YUM! Zucchini’s are part of the squash family. Squash is separated into two categories: winter squash and summer squash. Zucchini falls into the summer squash category. Typically, summer squashes have a higher water content than winter squash and their skin is thin and edible. Zucchini plants are pretty popular for home gardeners. There is a running joke that you can’t look away from a zucchini plant because zucchini grows so fast. It almost seems like they can double in size overnight. While that isn’t quite accurate, they can grow fast during the summer! Still not convinced about an airfryer? When I say it’s super simple, it’s simple. You literally set the temp, figure out the time, and wait for that food to be done. 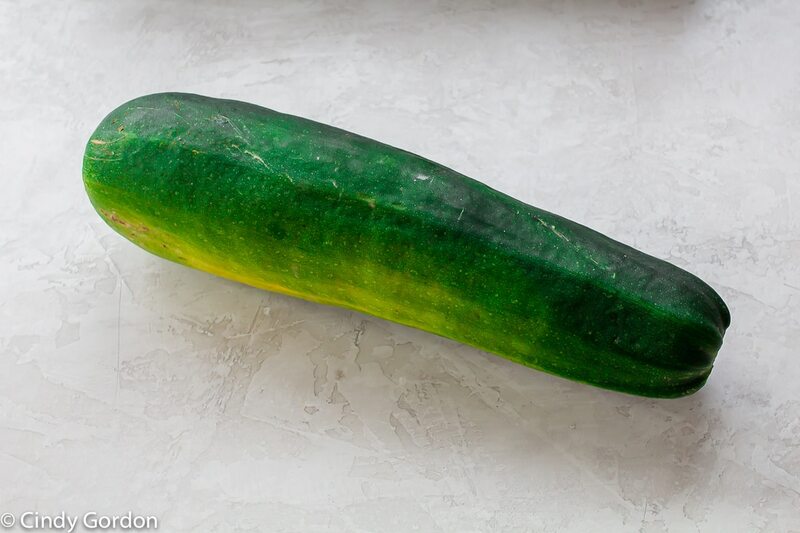 Zucchini has quite a bit of moisture in it. So we need to remove some of that moisture before we fry up our zucchini slices. To do this, you are going to lay the zucchini slices flat on a baking sheet. Then sprinkle the slices with some salt, let rest for a few minutes, then slip and repeat. We outlined this process in our Gluten Free Eggplant Parmesan recipe. Instead of using a convection oven or the traditional frying method you are going to fall in love with this air fried recipe. 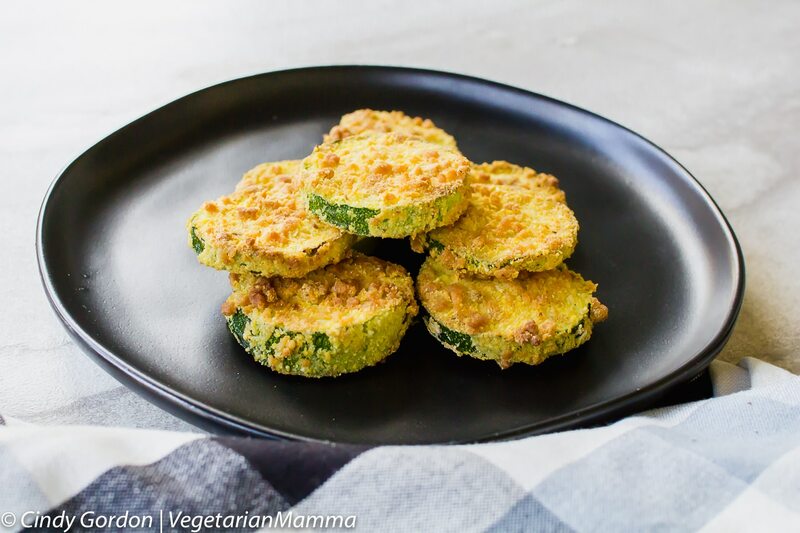 Dip the sliced zucchini coins into the beaten eggs and then into the panko and cornmeal mixture. Place the breaded zucchini pieces into the air fryer basket. You are going to cook until golden on both sides. I like to serve mine with a dipping sauce too! You don’t need to dip them into a sauce but I like to dip the zucchini coins I love to dip them into ranch, you can also use sour cream or salsa! YUM! 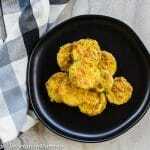 Air Fryer Fried Zucchini Coins is a delicious and easy air fryer recipe. This vegetarian snack will make your belly rumble for more! Slice zucchini and salt to help remove moisture. In a small bowl, scramble the egg. In a second small bowl, place the panko bread crumbs and cornmeal. Gently dip the zucchini coins in egg mixture. Dip into bread crumbs mixture and coat both sides. **The oil helps the coins to become golden brown and crisp up. Question: Is it just me or do you have any childhood food memories that you still make as an adult? You can let me know in the comments below! Let’s keep this conversation going! I want to know! I’m just starting to use my air fryer. This is the perfect recipe for me because we get so much zucchini in our farm share. My kids will love these! YUM! 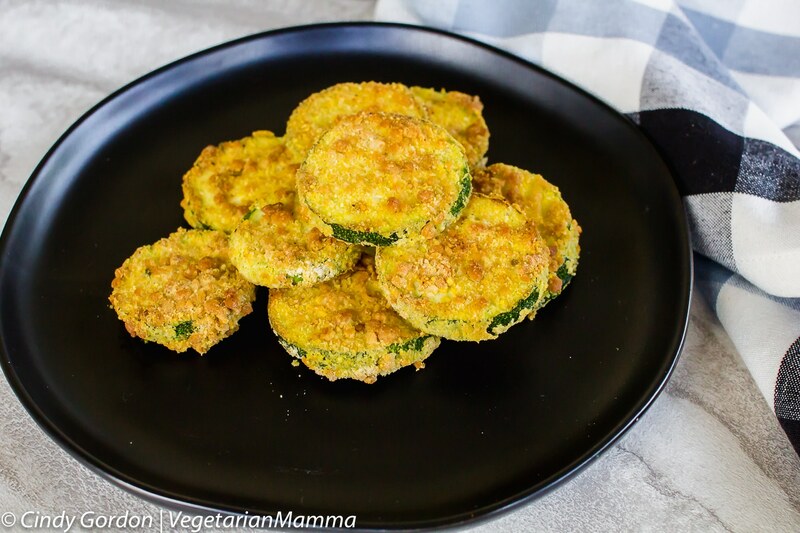 These zucchini coins look so delicious and crispy! Such a great party snack! We are obsessed with our air fryer at the moment. There is so much that you can do with it! Fantastic! Glad you loved them! So welcome!! Glad you enjoyed! Using an air fryer is so much more healthy. I love this recipe for zucchini. It’s one of my favorite squash! We love the air fryer option! This recipe looks so yummy. It would be great to make for my family on a whim. Looking forward to giving it a try. My friend made me some food in her air fryer this weekend. It was amazing. I need to get one. Yes, they are great additions to any kitchen! I’ve been back and forth on the need for another appliance in my kitchen. 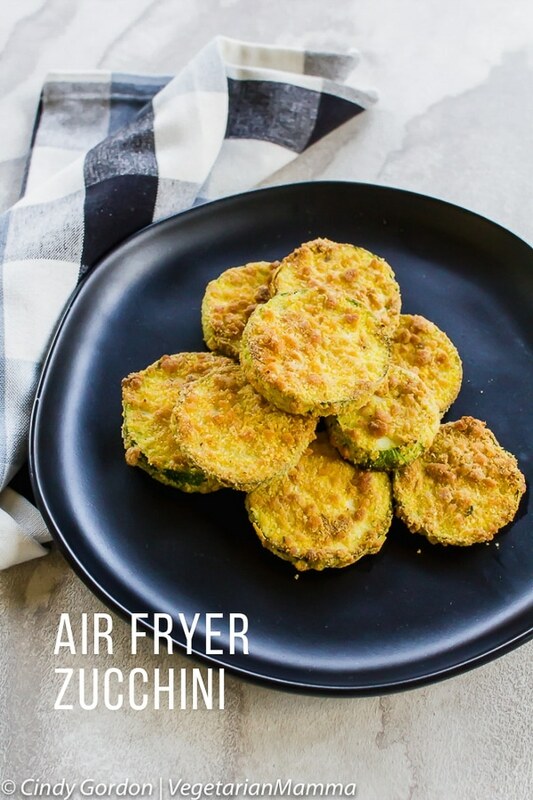 You have convinced me to get an air fryer simply because I love fried zucchini. I would have to vote yes for this appliance!! My mother in law have been telling me about air fryer.. I want to try this recipe, love veggies, especially zuchhini. Enjoy! We love our air fryer! Yum! I think even my vegetable phobic kids would enjoy these. They look perfect for dipping too! Yes, this was a hit with my kids! Where does the cornmeal come in ?